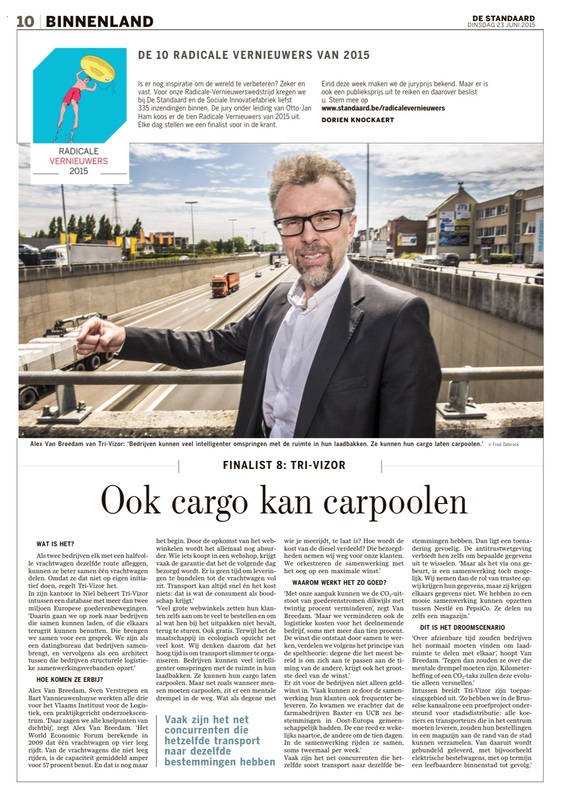 2015 Radicale Vernieuwer – Disruptive Innovator The leading Belgian newspaper "De Standaard" elected 10 Disruptive Innovators for society. Alex was with TRI-VIZOR one of the ten. 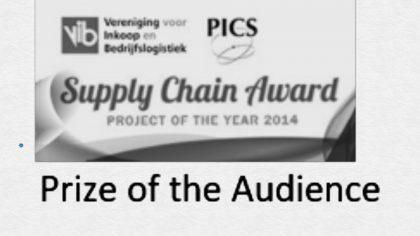 TRI-VIZOR was recognized for its important and disruptive contribution to society. Read more. 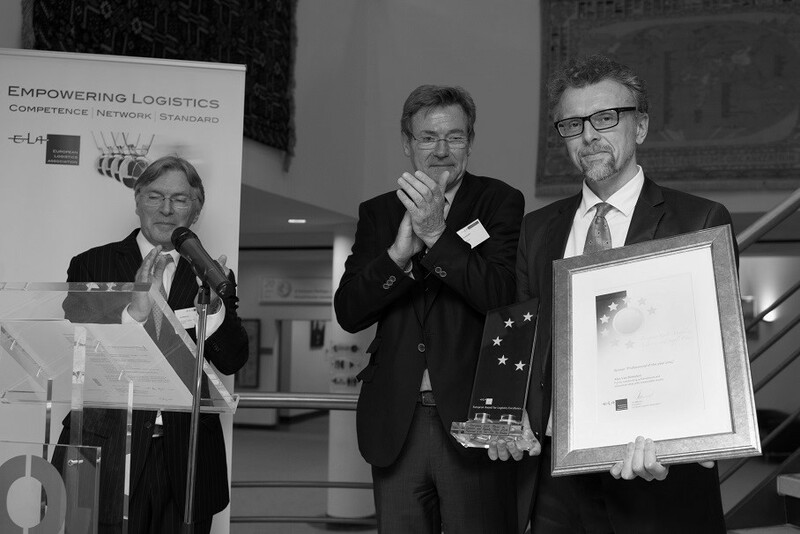 2014 European Logistics and Supply Chain Professional of the Year The title of European Logistics and Supply Chain Professional 2015 of the European Logistics Association (www.elalog.eu) was awarded to Alex Van Breedam for his important contribution to the development of the logistics business environment and who can be considered as an opinion leader and works inspirational for the logistics professionals in his or her country. Press release. 2013 Short Sea Shipping Award Promotion Shortsea Shipping Flanders has awarded the Short Sea Shipping prize 2013 to TRI-VIZOR and Transportgroup Corneel Geerts for the setup and the operation of a shortsea corridor between Belgium and Spain to transport the consolidated flows of the companies Eternit – Ontex – Baxter – Colruyt. Read more (Dutch). 2012 Spin-off Company of the Year TRI-VIZOR was awarded the prize of spin-off company of the year by Business Plan Enterprize. Initially this prize was an initiative of the King Boudoin Foundation. Press release. 2011 Belgian Business Awards for the Environment TRI-VIZOR was the winner of Belgian Business Award for the Environment. 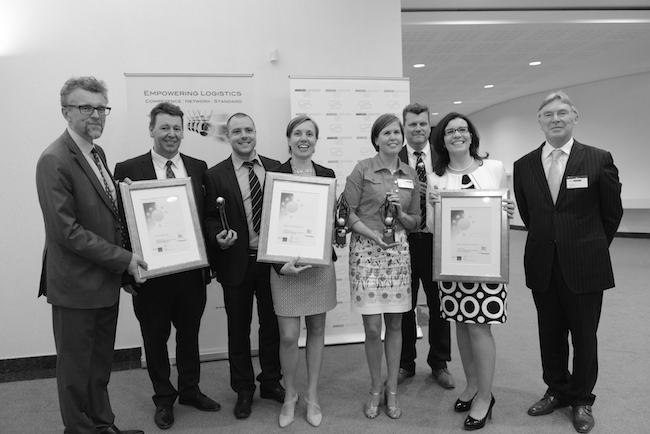 Business & Society Belgium organizes every two years the Belgian Business Awards for the Environment. This is a prestigious environmental award organized at the initiative of the DG Environment of the European Commission. The Awards reward companies that combine innovation and environment and economic success and thus contribute to a sustainable society. Press release and Video (Dutch and French) . 2011 European Supply Chain Distinction Award for Innovation The annual European Supply Chain Distinction Award for Innovation organized by the World Trade Group promotes greater lateral and expansive thinking in supply chain management. The prize rewards TRI-VIZOR with its horizontal collaboration project together with UCB-BAXTER-ESSERS for their "outside the box" thinking in transport and logistics. Press release. 2010 Air Chase Competition VIB (www.bevib.be) awarded the prize of the Air Chase Competition to TRI-VIZOR for the setup of the warehouse capacity sharing between chocolates mnufacturer Gudrun and Leaf Distribution.